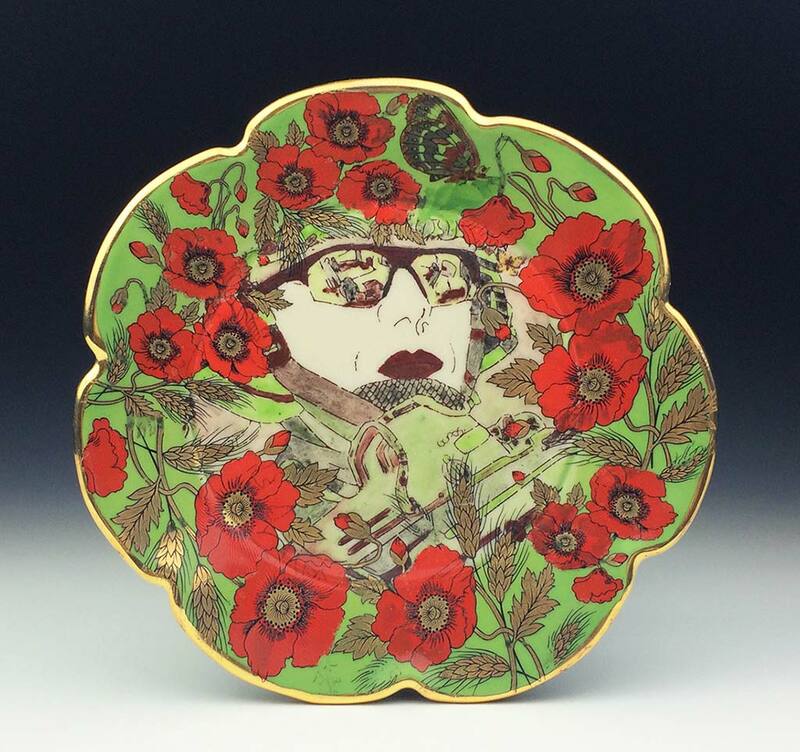 I am a ceramic artist, educator and owner of Battenkill Pottery in Arlington, Vermont. I was born in Hanover, New Hampshire to a military family and raised a “Navy brat”. I served as an Imagery Intelligence Specialist in the US Air Force and deployed to the Middle East. It was during this time that I first became fascinated with gender roles, particularly a woman’s place in society. When my commitment to the military ended I changed career paths, earning my Bachelors of Art from the University of North Carolina Wilmington in Studio Art. 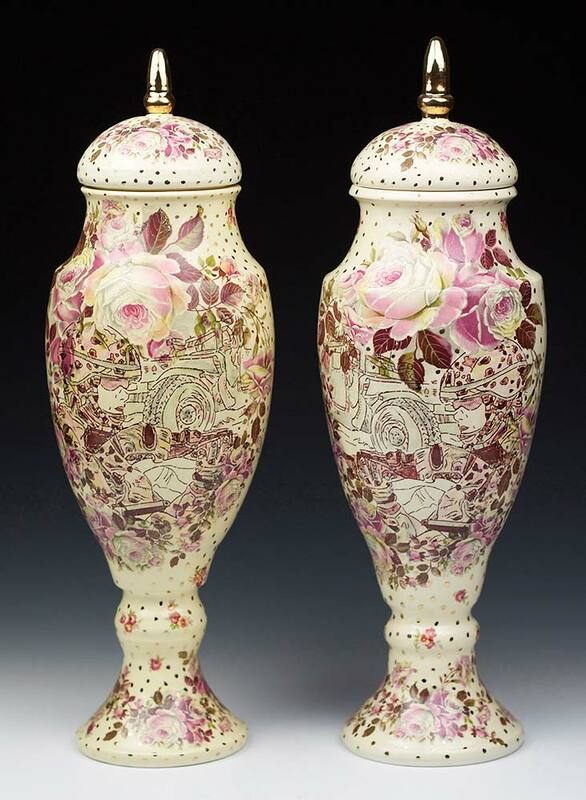 I then relocated to Arlington, Vermont and opened Battenkill Pottery. In 2013 I completed my Masters of Fine Art in Visual Arts from Lesley University and exhibited my work as part of the Boston Young Contemporaries Exhibition and the New England Collective at the Galatea Gallery. 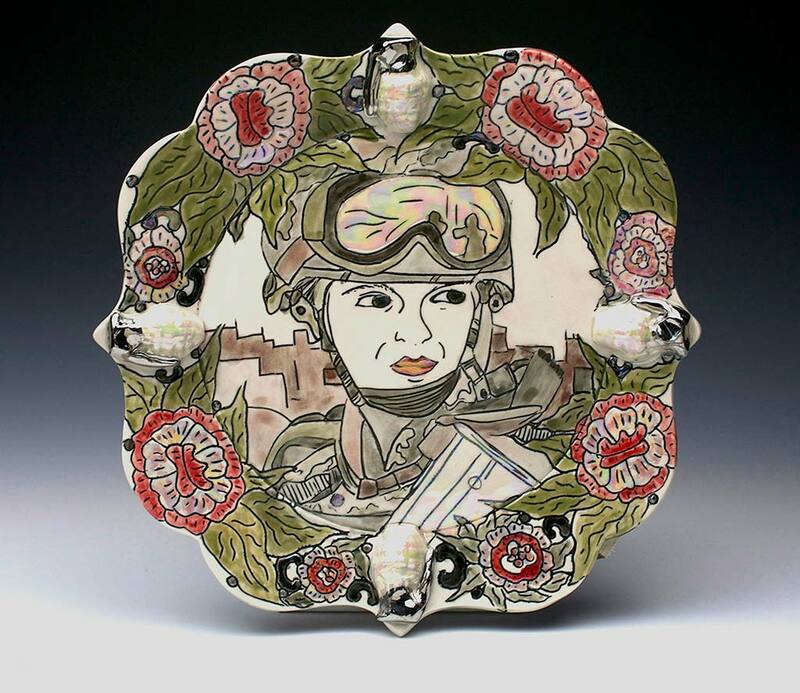 I spent 2013-14 as an artist-in-residence at the Saratoga Clay Arts Center, where I further explored my “Service Women” series of ceramic platters and plates that depict female service women in combat juxtaposed with traditional tableware motifs and decoration. 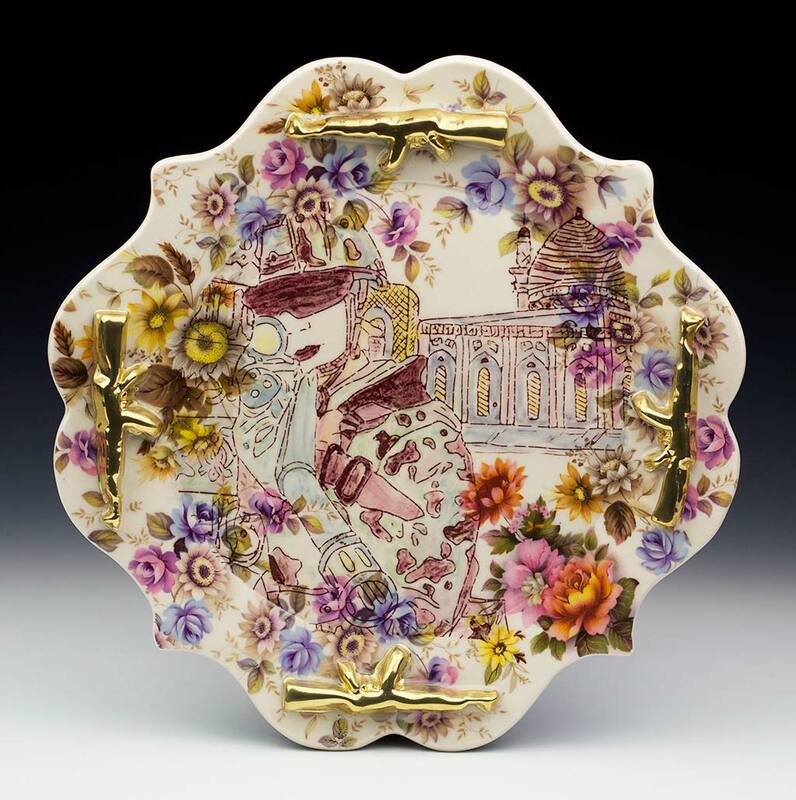 In 2014 I was selected to be part of Transformation 9, the Raphael Founders Prize at the Society for Contemporary Craft in Pittsburgh, PA. My work was featured in the February 2015 issue of Ceramics Monthly and was part of the two-artist exhibition “Postwar Perspective” at The Clay Studio in Philadelphia, PA and was included in the 2015 Potters Council Juried Exhibition at NCECA in Providence, RI. 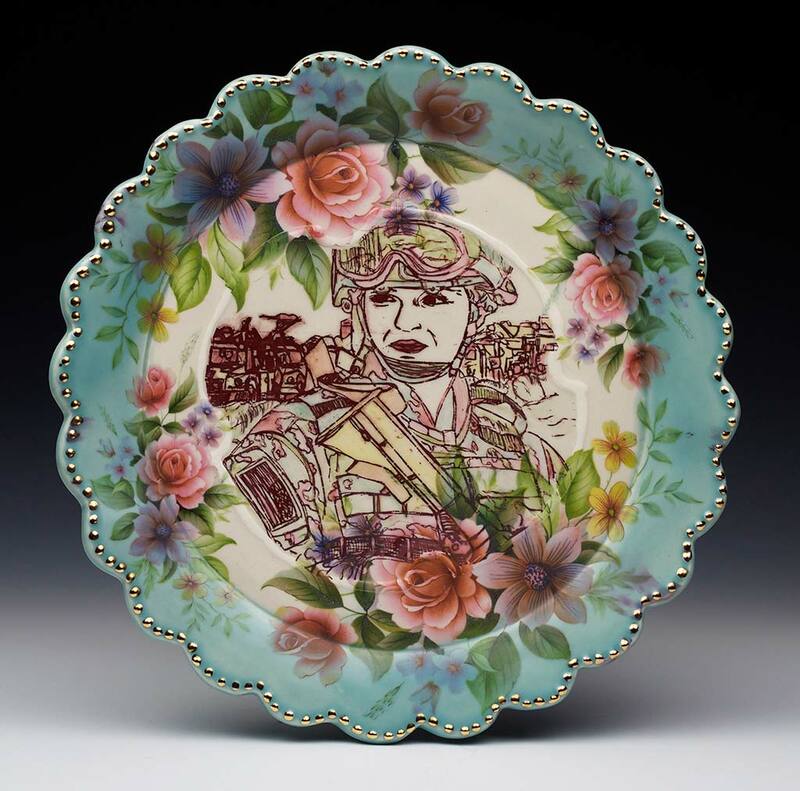 My work is featured as part of “Art, and Other Tactics: Contemporary Craft by Artist Veterans” at the Craft and Folk Art Museum in Los Angeles, CA and in September at the Museum of Craft and Design in San Francisco, CA. Later this year I will be attending the renowned artist residency program, A.I.R. Vallauris in the South of France, spending September and October creating a new series of work and culminating in an international exhibition. In addition to exhibiting my work in Galleries and Museums and maintaining my studio, I am actively involved in the local art community. 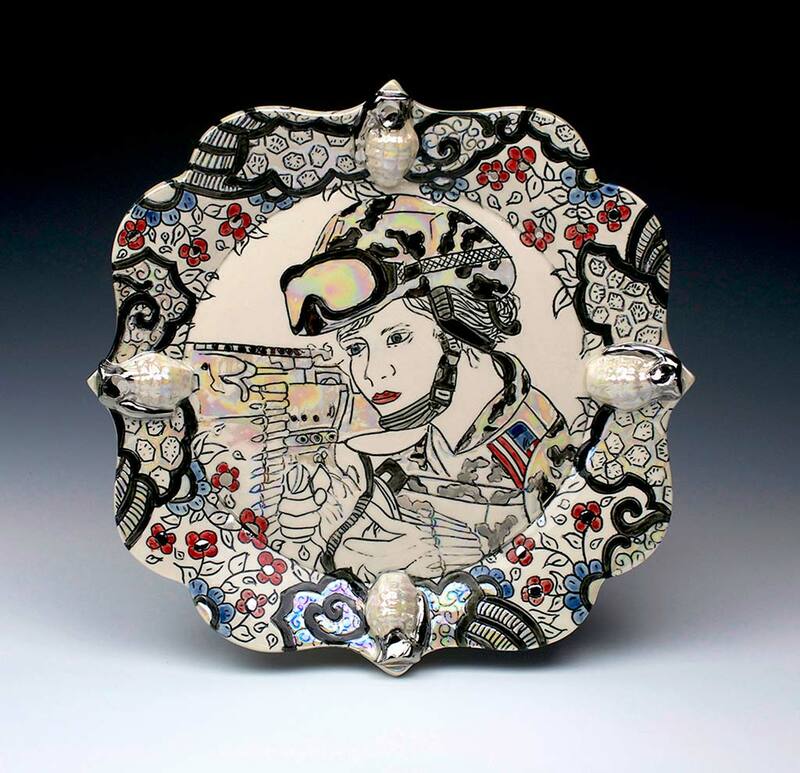 I am the director of the Canfield Gallery, a board member of the Vermont Crafts Council and teach ceramics at the Community College of Vermont and at the Vermont Art Exchange in North Bennington.